As mentioned previously, our home has sold, we are packing and I am releasing a few of the works of art for sale which were specifically created for this home. Pictured here are a few of them. 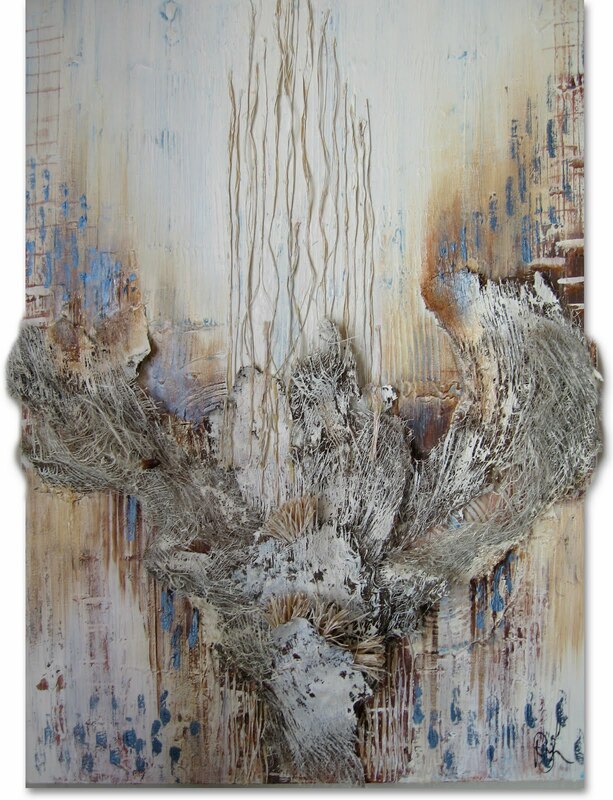 The painting shown above, Desert, is approximately 8' x 4', has heavy application and multiple layers of paint and raffia, with scoring through the layers. It was inspired by the desert sand and sky. 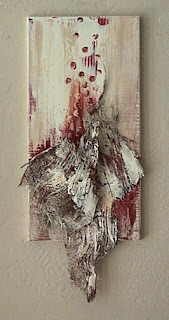 The painting shown below, Flight, is 48"x30", layers of paint, raffia and date palm fiber. 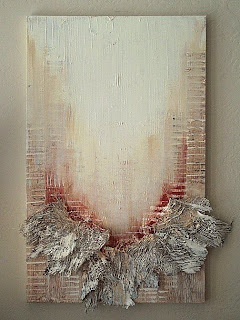 Portal II, shown below, is 48"x30", layers of paint and date palm fiber. Portal III, shown below, is 30"x12". Portal IV, 36"x25", has heavy application of paint, scoring through to under color and date palm fiber. 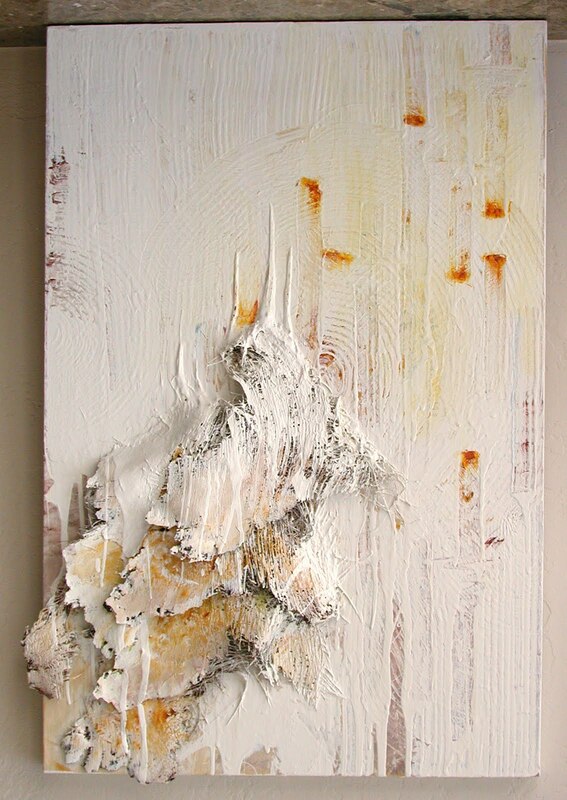 The general theme in these paintings is one dealing with texture, line, movement and color. The use of the date palm fabric gives the works a three dimensional quality. Date Palm fiber is the material that grows between the trunk of the palm and the frond. From a distance it looks like a woven fabric, burlap in texture, however it is composed of fibers running various directions, one on top of another. 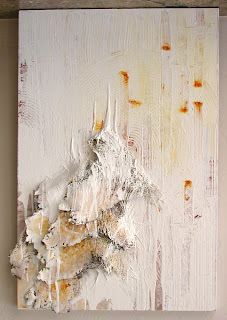 After I remove it from the tree, I wash the material then apply it to the canvas in various configurations.